Sunday 8th March and it was the 1st round of the 2015 REIS Asphalt Championship. 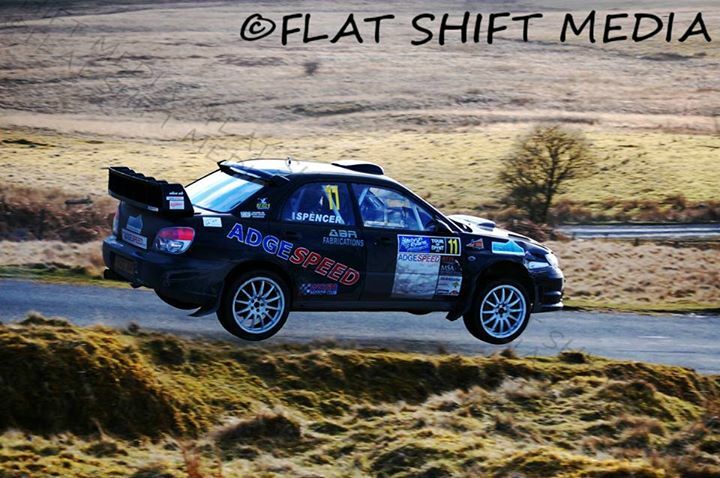 After a winter break the RED Industries, Adgespeed and ABR Engineering backed Subaru Impreza of Adrian Spencer headed down to the Military Ranges of Epynt in the Brecon Beacons in Wales. Adrian's usual co-driver Mark Hewitt was unfortunately unable to compete due to family commitments, so experienced Welsh co-driver Paul Williams was drafted in to call the notes. Following a good recce of the ranges on the Saturday to check the notes all was set for the rally on Sunday. Seeded at car 11th out of the 110 car entry and with a very strong top 20 including 8 World Rally Cars including Impreza's, Fiesta and Focus and with strong class B13 opposition from Ford ex works driver Simon Major in a Millington engined 6R4, Bob Fowden, David Hardie, Richard Clews and Chris Rice in Subaru Impreza's and the likes of Phil Turner in an EVO it was going to be a tough and hard battle. Just to spice things up wet weather greeted the crews as they set off for the start, which at least made tyre choice easier, for the 1st loop of 2 stages. Stage 1 at 3.8 miles and the 2nd 11.25 miles. Hoping that many of the crews would be cautious in the slippy condition Adrian decided to push from the start and set 9th equal quickest time on stage 1 with Fowden and Turner although Hardie was 5 second s quicker and 11th quickest on stage 2 only 2 seconds behind Hardie, but more important 13 seconds quicker than Fowden which meant at the end of the 1st loop of 2 stages Adrian was 9th overall, 8 seconds behind Hardie, 13 up on Fowden and 14 on Turner. 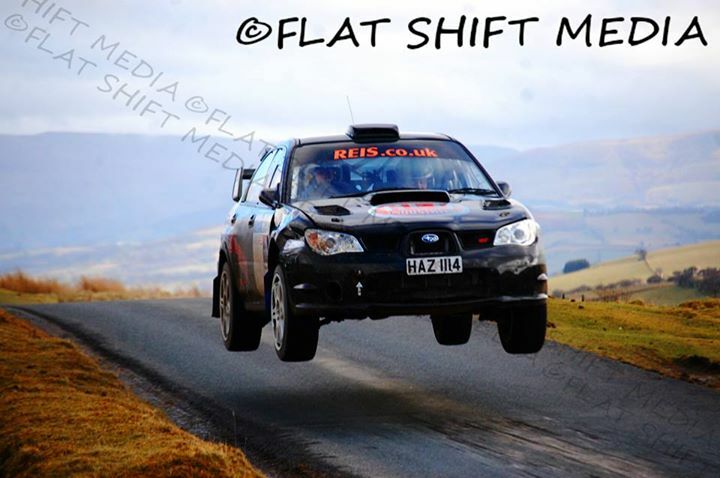 Simon Major was in a league of his own leading the rally by 3 seconds from Cole, the new Metro working well. The 2nd loop of 2 stages were a rerun of the 1st two and with no change in the weather and no problems with the car except for some patching of the front drivers side wing after hitting a bale in the 1st stage, good job I didn't replace that wing for this rally was Adrian's comment. 11th quickest time over stage 3, Hardie and Turner were a few seconds quicker, but Fowden dropped 2 to Adrian. Stage 4 didn't go too well as Adrian couldn't get a good feeling and dropped 11 seconds to Fowden and 6 to Hardie resulted in 8th O/A for Adrian with Hardie 5th, Fowden 11th, Turner 12th a few seconds behind. Back in service the team of Barry Allman and Paul Whittaker went over the car and the Team made some adjustments to the suspension and diffs. Stage 5 was a stages 1 and 2 joined together to make a 14.6 mile stage and with the new settings transforming the car and Adrian's confidence 5th quickest time was the result, taking 4 seconds back from Hardie but 8 seconds quicker than Turner and 16 better than Fowden to move Adrian up to 6th O/A with Hardie 4th, Turner 8th and Fowden 11th the chase was on. Stage 6 was the reverse of stage 5 and with rain having stopped and the roads starting to dry, Adrian set off on a mission as this was where Fowden was usually very quick as its his favourite direction and again set 5th quickest time nearly matching Fowden being only 3 seconds slower, but more important being 25 seconds quicker than Hardie which moved Adrian up into 4th O/A with Hardie dropping to 6th and Fowden moving up to 8th. The last stage 7 was a repeat of 6 and Adrian switching to slicks needed a fast run to keep his advantage over his rivals. A small mistake at a chicane cost 5 seconds but the advantage was there and although Fowden took 4th quickest beating Adrian 5th quickest time by 10 seconds, it was enough to hold on to 4th O/A and with Major winning the rally outright by 1 second from Damian Cole, Adrian also took 1st in Class B13. Well a great start to the 2015 REIS Asphalt Championship, roll on the next round the Manx National Rally.